Fertility awareness is about being aware of when you are fertile and when you are not. You can use this information to avoid pregnancy, achieve pregnancy, or monitor your gynecological health. BBT is the temperature in your mouth when you wake up in the morning. A spike in your BBT tells you when progesterone has kicked in, signaling that ovulation has occurred. Cervical Fluid is a vaginal secretion. 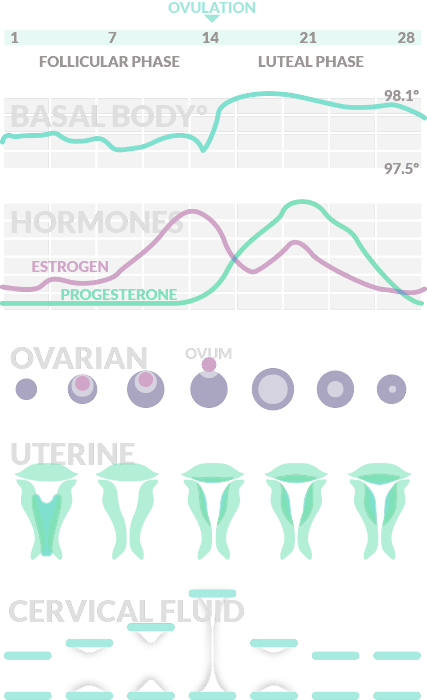 It changes in viscosity through the course of your cycle and tells you when your estrogen level is rising, indicating impending ovulation.